Currently, Vietnam government has policy on overseas Vietnamese visa exemption. Accordingly, Vietnamese people living in foreign countries can be exempted from visa to Vietnam. It is estimated that there are more than 3.2 million of Vietnamese people living in over 100 countries and territories in the world. At anywhere, there is no difference in generations, genders, religions, and past, the majority of Vietnamese people in other countries have a great patriotism and always want to come back their homeland. Partially for that reason, Vietnamese people in other countries can obtain free visa for Vietnam. - Being Vietnamese people residing abroad, and having foreigner as spouse, sons/daughters of Vietnamese people living oversea. - Foreign passport or papers replacing passport must have validity of at least 6 months since the day of entry. - The applicant does not violate Vietnam law. In addition, according to the basic legacy for Vietnam visa exemption">Vietnam visa exemption for Vietnamese residing abroad, the Visa exemption certificate is valid for a period of 5 years. It is used for multiple entry and exit, which does not exceed 90 days each time. Overseas Vietnamese who wish to stay in Vietnam longer than prescribed may apply for visa extension. It is believed that, policy on exempting Vietnam visa for Vietnamese staying abroad is a great effort of Vietnam government. - Foreign passport: if passport has not been granted, the applicant must have residence permit issued abroad (with copies for competent authorities to save). 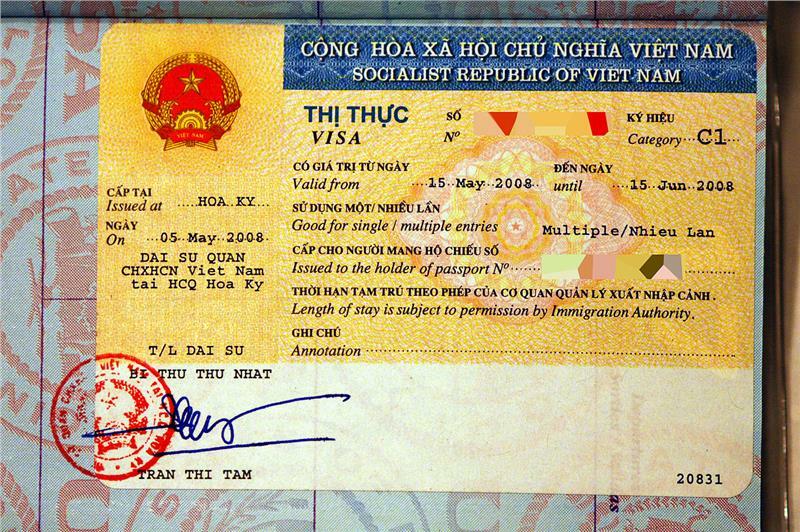 The validity of passport or resident permit must be at least 06 months from the date of enter Vietnam. - One of papers, documents proving that the applicant is residing abroad as prescribed by Vietnam law or international treaties of which Vietnam is a member, or documents previously issued to speculate Nationality of origin. If the applicant has no proof of Vietnamese residing abroad, the applicant must present a guarantor of Vietnam association overseas or a guarantee residing abroad. - If the applicant does not have the above mentioned documents, the applicant can present a paper issued by competent authorities of foreign countries. On that paper, the applicant is overseas Vietnamese. - 01 declaration of granting visa exemption (Form N19). Vietnamese people living abroad can apply for Vietnam visa exemption at Vietnam Embassy or Consulates in the country where he is living. Otherwise, applicants can apply at Immigration Department of Ministry of Public Security in Hanoi and Ho Chi Minh City.